Admission into HorrorHound Weekend during normal business hours on FRIDAY, September 8th, 2017 (Hours: 5pm-10pm). Ticket grants admission into the convention center with access to the vendor, celebrity, Mask-Fest, Q&A panels, and the HorrorHound Film Fest. Admission into HorrorHound Weekend during normal business hours on SATURDAY, September 9th, 2017 (Hours: 11am-7pm). Ticket grants admission into the convention center with access to the vendor, celebrity, Mask-Fest, Q&A panels, and the HorrorHound Film Fest. 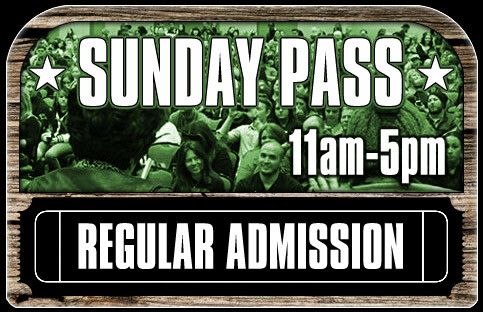 Admission into HorrorHound Weekend during normal business hours on SUNDAY, September 10th, 2017 (Hours: 11am-5pm). Ticket grants admission into the convention center with access to the vendor, celebrity, Mask-Fest, Q&A panels, and the HorrorHound Film Fest. Admission into HorrorHound Weekend during normal business hours ALL WEEKEND – September 8-10th, 2017 (Hours: Friday: 5pm-10pm, Saturday: 11am-7pm, Sunday: 11am-5pm). 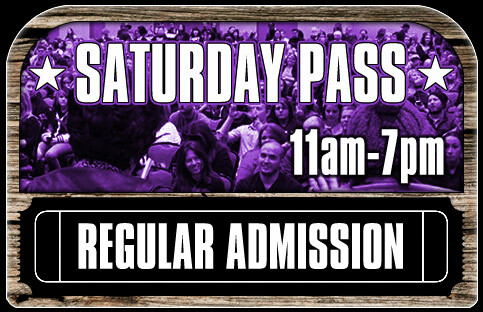 Ticket grants admission into the convention center with access to the vendor, celebrity, Mask-Fest, Q&A panels, and the HorrorHound Film Fest. 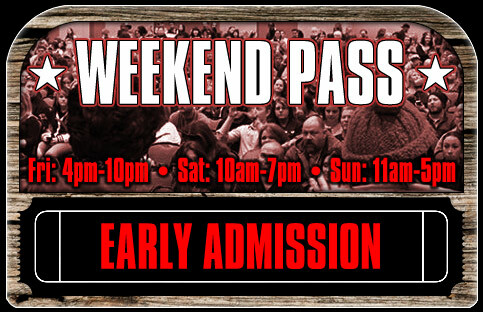 Admission into HorrorHound Weekend during normal business hours ALL WEEKEND – September 8-10th, 2017 – with one-hour early admission into the event Friday and Saturday! (Early Admission Hours: Friday: 4pm-10pm, Saturday: 10am-7pm, Sunday: 11am-5pm). Ticket grants admission into the convention center with access to the vendor, celebrity, Mask-Fest, Q&A panels, and the HorrorHound Film Fest. VIP Ticket! This ticket grants holder admission into HorrorHound Weekend during normal business hours ALL WEEKEND – September 8-10th, 2017 – with one-hour early admission into the event Friday and Saturday! (Early Admission Hours: Friday: 4pm-10pm, Saturday: 10am-7pm, Sunday: 11am-5pm). 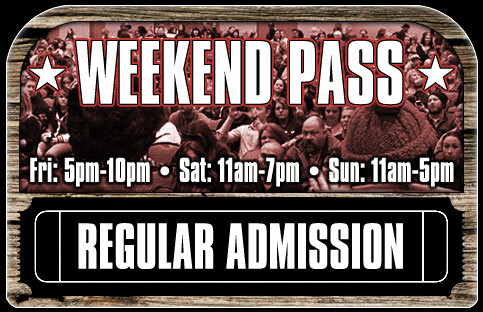 Ticket grants admission into the convention center with access to the vendor, celebrity, Mask-Fest, Q&A panels, and the HorrorHound Film Fest. Guaranteed access into Friday and Saturday night after show events. 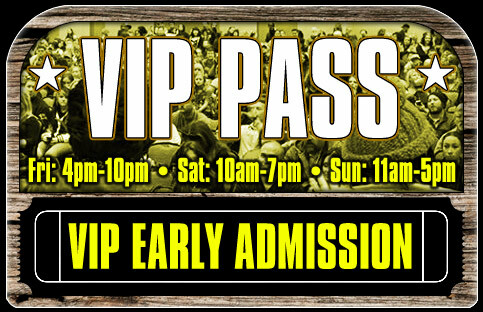 Additionally, VIP will receive THREE line-cut passes to be used for select guests. Guests w/line cuts include Ryan Hurst, Sean Astin, James Marsters, Ric Flair, Natasha Henstridge, Juliet Landau, Nostor Carbonell, Max Thieriot, Nicholas Brendon, or Mitch Pileggi.